A father-son King project is now in development for television! The Stephen King renaissance continues with the adaptation of Sleeping Beauties. This suspense filled, horror, mystery, is now in development to being adapted into a pilot episode for its own television series. AMC is the TV network behind the newly anticipated pilot episode. The writer for the script will be none other than Owen King himself, bringing his and his father’s work to life, and this is not his first time adapting his father’s work for television. Recently, Owen was a producer, and according to Entertainment Weekly a writer, for CBS’ newest addition to their exclusive “All Access” content, The Stand. Thankfully, unlike CBS and their “All Access” content that’s watchable only if you pay monthly, AMC comes with your cable, so long as you have the channel that is. 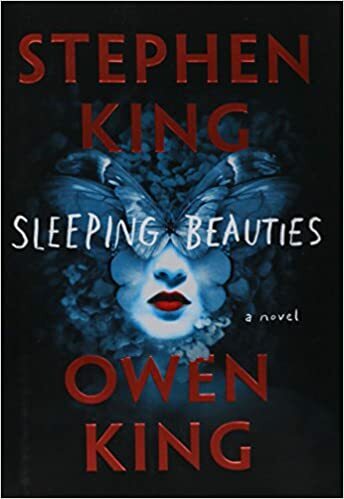 Hopefully Owen and the rest of the AMC crew won’t rest until Sleeping Beauties is finished for our haunting entertainment. It’s no secret that many people will say how some movies are better left as books. Details get changed, parts of the story get left out, and it never ends up the same. However, in this case, we know these eerie and bone-chilling horror novels should definitely be turned into movies. Check out these scary picks that should make it to the big screen. The Chronicles of Vladimir Tod combines the classic struggles of being a teen in high school while also keeping the dark secret that he is a vampire From gothic love to vampire hunters, this book is a go to for many horror readers and puts an exciting twist on our usual movies of teen rebellion and adventure with enough books for a sequel too! A tornado sweeps you up into a universe where the good guys are the bad guys and you are forced to take a second look at your enemies. Dorothy Must Die gives us everything we need in a great horror movie, because Dorothy isn’t all that she seems. In a world where there are many types of witches circling around in pop culture, it’s nice to have a book that acknowledges all of them, even the ones that are a bit more sinister. In a time of war, a witch brings her brother back from the dead, unraveling many challenges in their path and the rejection of society. This is a gruesome tale tall enough to fit the silver screen. Nancy Drew’s got some competition in this novel about a suicide… or so they say. A girl ahead of her time and a questionable suicide leave you at the edge of your seat and needing to keep a nightlight close by. That makes it the perfect movie to watch at home on a Saturday night. If you thought girls in high school were mean imagine dealing with demons. This book is the Mean Girls of the horror universe and shows us that you never truly know someone, until you preform an exorcism on them. Apart of the House of Night series we meet Zoey Redbird. A normal girl turned extraordinary, chosen to go on a four year journey to being a “Vampyre”. There’s Native American legends and a challenge at every corner. With over ten million books sold its hard to imagine why this wouldn’t be a movie! A vicious crime and a mystery the police can’t seem to crack leads them to dig deeper into a case where the monsters aren’t exactly human. Stephen King, a horror legend in his own right, gives us everything we could want in a horror movie. The Zetes Institute is the place where Kaitlyn Fairchild learns about her psychic abilities, but the school is doing far more than just teaching these gifted individuals. With a secret plot and danger lurking, we see some serious movie worthy qualities in this novel, but what else can we expect from the author of the hit TV shows The Secret Circle and The Vampire Diaries. A book on the brink of madness or greatness will leave you frightened beyond belief. This would be the movie where the dark leads you to a cult and the circus freaks take the standards of beauty into their own hands. An underground rave in New York City goes wrong when a group of besties embark on what is supposed to be a night of fun, only to end up trapped in a battle for their lives. Survival skills and relationships are tested to their max while danger lurks in the shadows leaving readers, and possibly viewers, begging the question: would you survive the night? Netflix viewers have been (excuse the pun) blindsided by the hit horror movie Bird Box, an adaptation of Josh Malerman's novel and the subject of a storm of memes.